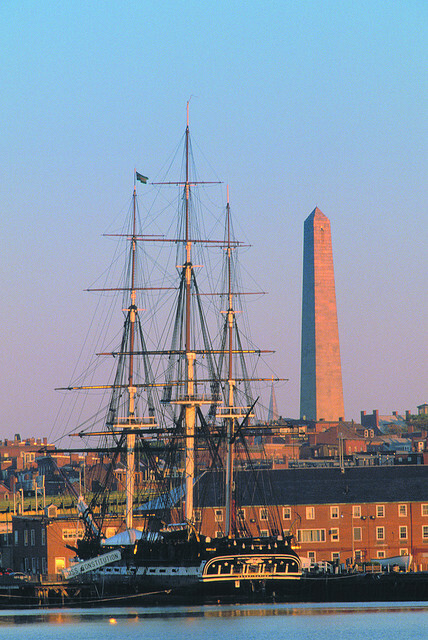 Boston arguably has a greater time-span and amount of historic architecture than any other major American city. The challenge is where to begin, what to include, and what to omit? Focusing on specific historic houses and neighborhoods in Boston proper (not Cambridge, Newton, Brookline, or the other suburbs) and examining places that the typical tourist directive might overlook helps old house buffs explore Boston on a deeper level. Geographically, Boston is a rather small city that can be appreciated largely on foot (a near-necessity, since on-street parking can be challenging at best). Leave your car at the Boston Common Garage and work away from it in various directions. Late spring and mid-fall are great times to visit; summer is nice enough, but the emerging and departing foliage is spectacularly enchanting (and Boston’s winters can rival Chicago’s). 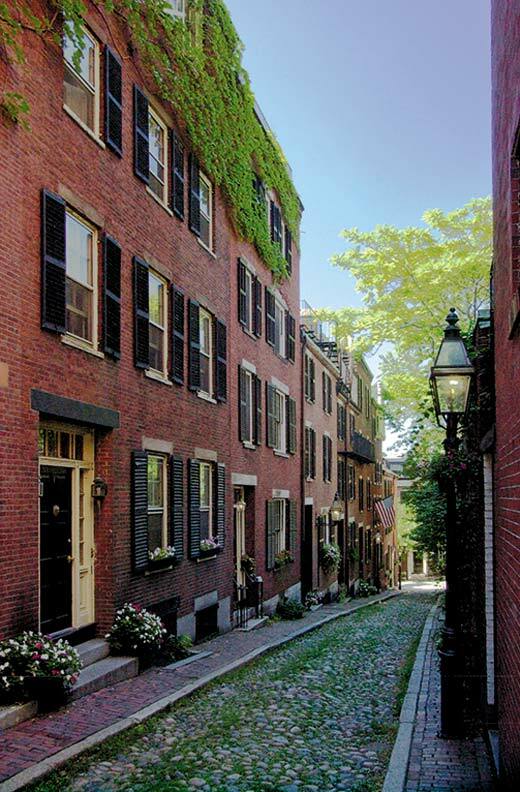 Much has been made of the winding streets of Beacon Hill, praise that’s well-deserved. It’s exciting to wander randomly, turning corners at whim, and let each step become a discovery. Start at Beacon Street, along the Common, and move north. Preservation restrictions here are among the most stringent in the country, so remuddling has been minimized. 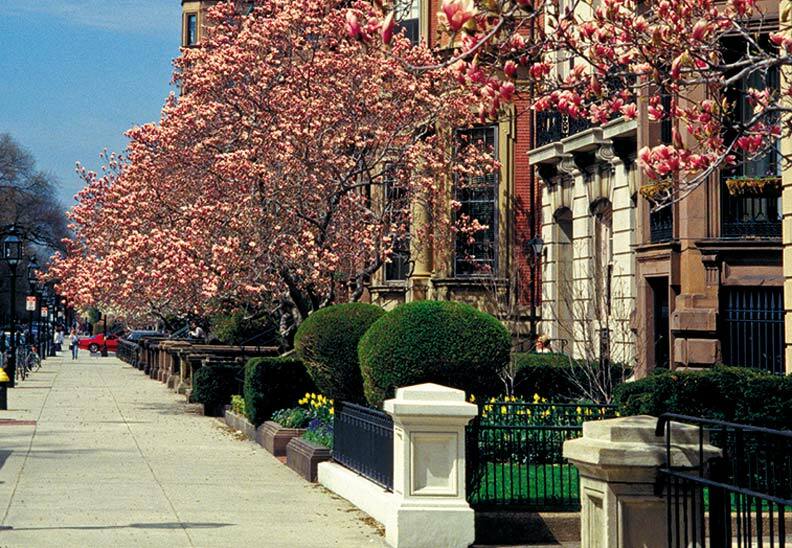 Louisburg Square is a spectacular collection of Neoclassical row houses built during the first half of the 19th century; they surround a private mall. Walking west from the foot of Beacon Hill, cross Charles Street to see other examples of slightly later structures on streets such as Chestnut and Brimmer. At the western end of Beacon Hill and the Public Garden lies the Back Bay. This is one of the few areas in the city laid out in a grid (which is why it’s so darned confusing driving around Boston). It was, and is, a very posh neighborhood with spectacular row houses built of brick and brownstone, with some later limestone additions. Back Bay was built entirely on landfill, its marshes and swamps displaced in the mid-19th century with railcars of gravel brought in from the suburbs. Most structures are built atop wooden pilings hammered into the earth. 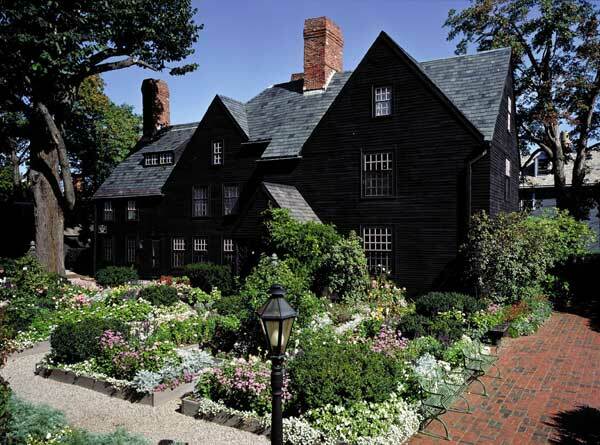 Just off of the Public Garden sits an overlooked jewel, the Gibson House Museum. Built in 1859, it was home to the Gibson family until the 1970s, when the last heir died with a provision that the house be preserved as a museum. It offers a fascinating glimpse of upper-middle-class Bostonian life in the second half of the 19th century. Commonwealth Avenue and its splendid mall, designed by Frederick Law Olmsted, is the grandest of Back Bay’s streets, and each house is an excellent example of 19th-century urban architecture—it’s worth it to walk up one side and down the other. The earliest dwellings are found at the east end, by Arlington Street, and evolve stylistically as one heads west (cross streets are named in alphabetical order). Equally enchanting, but more sequestered, are the parallel Marlborough and Beacon streets. (Make sure to traverse the cross streets, too.) On the southern side of Commonwealth at Hereford, look for a white limestone chateau-style residence, more at home on 5th Avenue in Manhattan. 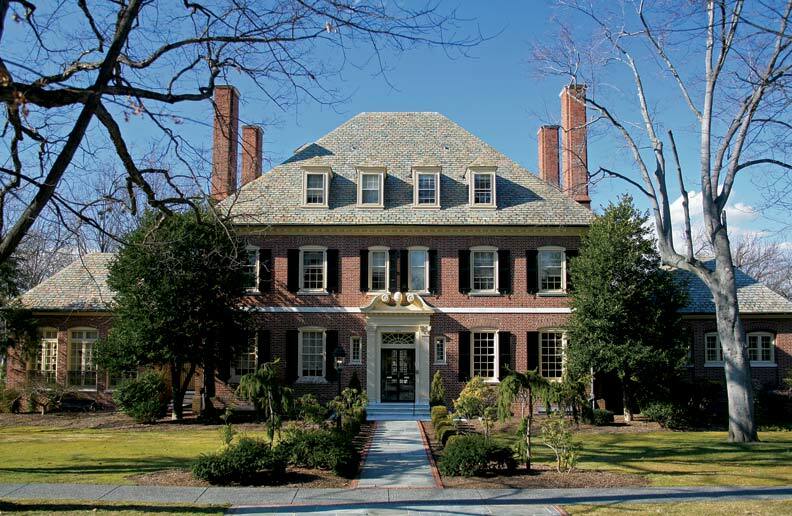 Also linger at the intersections of Commonwealth and Dartmouth Street or Massachusetts Avenue to see grand mansions belonging to the Ames families. Although not a residence, a mandatory stop is H.H. Richardson’s Trinity Church in Copley Square. A truly stunning example of Romanesque Revival architecture, it is often regarded as the most beautiful building in Boston. The Paul Revere house on the Freedom Trail is well-known, but at least two more gems come to mind. First is the Harrison Gray Otis House, on the far side of Beacon Hill, which was designed by Charles Bullfinch (the architect for our gold-domed State House). 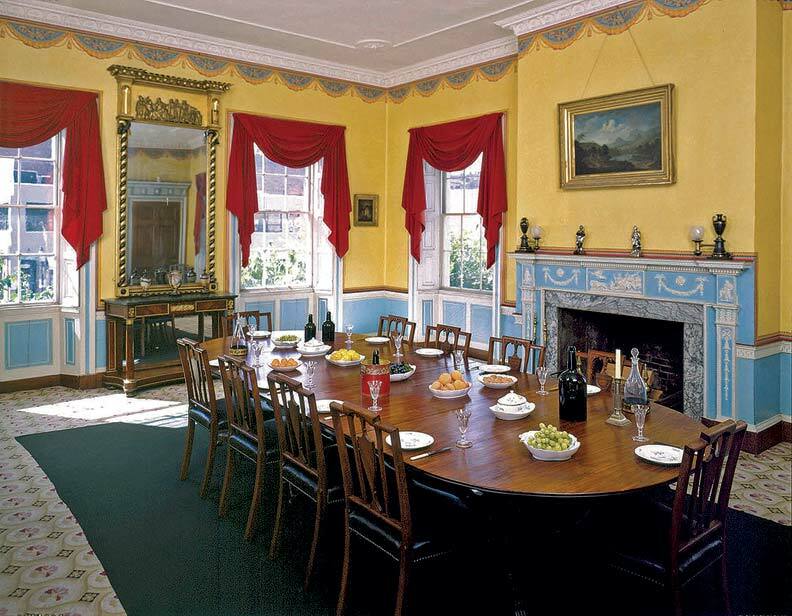 Otis developed Beacon Hill and was mayor of Boston; his former house is the sole remaining mansion of this prosperous neighborhood, and its interiors have been meticulously restored by Historic New England. South of Boston proper, in the Roxbury neighborhood (a short drive), is the Shirley-Eustis House, a country home built by the British Royal Colonial Governor. It’s a fascinating example of Georgian architecture, and though now surrounded by buildings of later centuries, offers a glimpse into a far earlier era. Developed in the mid-19th century, just prior to Back Bay, Boston’s South End features block upon block of bow-front row houses interspersed with trendy restaurants and shops. Still walkable from the Common Garage—at least for those who enjoy prolonged strolls—visiting Rutland and Concord squares will continue the theme of park-like malls that separate the facing rows of houses. The South End fades into the Fenway area (as does Back Bay), eventually leading to the Isabella Stewart Gardner Museum. It’s hard to believe this was indeed someone’s home, but the interior has been strictly preserved, per Mrs. Gardner’s wishes. 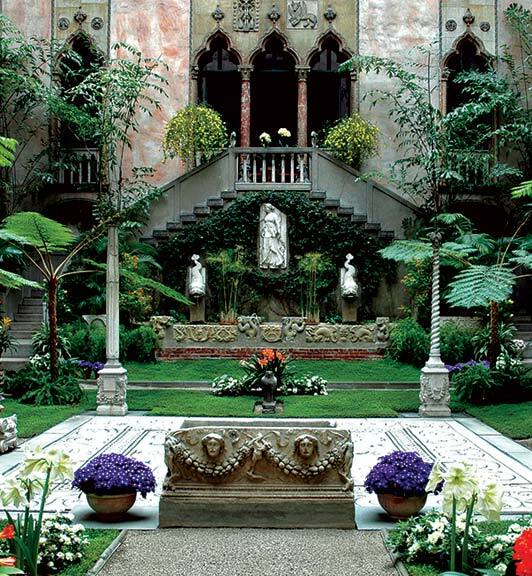 The towering atrium, built to replicate a Venetian courtyard, is magical; Bostonians crowd here on winter weekends to remind ourselves that spring will eventually reemerge. Boston area native Dan Cooper has authored a wealth of articles about historic buildings and design, as well as the book New Classic American Houses (The Vendome Press, 2009). Online exclusive: Visiting Boston? Check out our roundup of the summer&apos;s best history-minded events.